Home » Can A Family Survive On Minimum Wage Income? Minimum wage was never really meant to be a livable form of income, but rather a starting point of someone starting out in the workforce or an industry. As an adult, not too many would aspire to work for such a low wage, especially if they have a family with children to support. A few may choose this due to a lifestyle choice of keeping things simple and frugal to where they simply do not need much of an income; a few may even choose this to supplement some income through retirement years. Lately for many, however, if they can find any work at all, it becomes a reality of working some low-wage job paying just a smidgeon over $7 an hour for 30 to 38 hours a week. This is becoming a grim reality for more and more families – low wages, long hard hours and no medical benefits. Many consider themselves lucky to have these jobs as many of their friends or relatives have been completely out of work for 6 months or more with nothing to be found. Many financial experts tell you to just go out and get a second job to improve income, yet in many places it was hard enough to find that one minimum wage job and to find a second one is just not going to happen. Yet can a family survive on minimum wage in order support a family on around $15,000 a year? While not easy perhaps, yes it is possible, and in many cases without the need for government assistance as far as bridge cards for food or cash assistance. In some cases, depending on where you live, you may have a true need for these programs and if the need is truly there, by all means you should be applying for them! In many other cases, perhaps, Medicaid may be the only assistance you would benefit from. 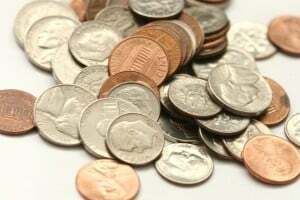 Financial Discipline – You need to have the discipline to put your house in order and know what you can afford monthly for food, shelter, utilities, transportation and such. Creating several budget guidelines will let you know exactly what you will be able to afford and make any changes necessary to accomplish it. While it may seem overwhelming at first and even impossible, with some serious thought put into it, it becomes possible – maybe not ideal, but at least possible. Cooking Skills – For minimum wage earners, cooking skills are a MUST, there is no getting around this one. You cannot frugally grocery shop if you do not have great cooking skills. If you do not have them, then you need to gain them in a hurry, so check out basic cookbooks from your local library, watch YouTube videos that teach how to cook whatever you want, search recipes online. If you do not have a computer or will not be able to afford internet, you can make good use of your library’s computers. You can also rent Netflix cooking shows where you can watch it while you cook, pausing it where you need to. You need to be able to cook a lot from scratch and feed your family on anywhere from $100 to $300 a month (yes this is possible, I just spent $260 for last month to feed a family of 6, plus a dog who eats home-style cooking, plus a house guest of 4 days). Without cooking skills, this is not possible as you need to be able to know how to make breads, muffins, tortilla shells, pasta and such, as well as figure how to cook $2 dinners that can feed up to 6 people. Housing – Most likely this is a huge change and necessary change, as a minimum wage income simply cannot support a high-cost home or rental unit. While many suggest sharing housing, this is not usually an option if you have a fairly large family. You will need to be willing to try to find a rental at $450 or below a month, and while this is not easy, they are out there if you are willing to look hard and are willing to re-locate, if necessary. You most likely will end up in a small place but it is getting an affordable roof over your family’s head that is important, not how big it is. In Hong Kong, it is not uncommon for 4 people to share a 100 square foot apartment! You may have to get creative with sleeping arrangements but any floor space becomes possible sleeping, such as a mattress or army cot that gets pulled out at night. You will double your benefits if you search hard for a place where you can have even a tiny garden to supplement and cut food costs down. Frugality in Everything – Serious thought put into every purchase is necessary. Frugality in extreme levels will need to be embraced, challenged regularly and become a way of life. It becomes necessary to watch every penny coming in and knowing where every penny going out goes. You will need to keep a log of where every penny goes to help stay on track; a simple notebook will do. You will need to learn how to preserve and conserve and put consumption down to bare minimums in order to live within a minimum wage means. While in no way is this lifestyle an easy one, it is possible to make it work with some serious work put into it and new ways of looking at things. While a second job may not be possible, you should still look at ways of bringing in extra money to help supplement such low earnings. Things such as any scrap metal can be turned in for cash, returnable pop bottles you collect on walks, writing articles online, babysitting, every penny you can additionally earn helps considerably! While you need to find every way you can to save, you also need to think of every way to come up with some extra cash to improve your situation as well including selling everything you truly do not need! Not only is this lifestyle a possible one, but regardless of what others say, you CAN have a decent life of quality if you are willing to take control and learn to look at things in a positive and fresh new way. Most importantly count your daily blessings and seek joy in the simple things life has to offer, such as sunset walks, free concerts in the park, family board games and other such free entertainment you can think of. Carrie, I really enjoyed reading this post. I like the outlined bare bones reality of living on minimum wage. You do so much in your writing and lifestyle to banish illusions. Thank you. Great tips and advice here Carrie. I think this should be required reading for the welfare class. Good to know that it is possible to survive and thrive on such little money without government assistance!